Victim’s widower still works for NSW Police. THE embattled upper echelon of the NSW Police Force will be rocked again today with the launch of an inquest into the suicide of a female officer who was believed to be having a romantic affair with one of state’s most senior officers. It is understood the top-ranking officer was married at the time he conducted the affair with the woman, who was found dead in a garage two years ago. The inquest’s revelations come hot on the heels of the civil war between senior officers over the bugging scandal that led to separate inquiries by state parliament and the ombudsman. The fallen officer worked at a major NSW regional centre and it is understood she was seeing a psychiatrist at the time of her death. She was described as being a hard worker by former colleagues and left behind a husband, a son and a daughter. Whispers have been circulating among the brass for years that the 43-year-old was involved in a romantic relationship with one of the state’s most senior and popular officers before her death in the winter of 2013. Sources who know the top-ranking official last night denied the allegation and described him as a decent and professional family man. But The Daily Telegraph understands that the coronial investigation will examine text messages purportedly exchanged between the pair that suggest a romantic ­relationship. It is understood the female officer sent messages to the senior member of the NSW Police executive on the day she took her life. There is no suggestion that the top-ranking officer engaged in any wrongdoing surrounding the woman’s death. 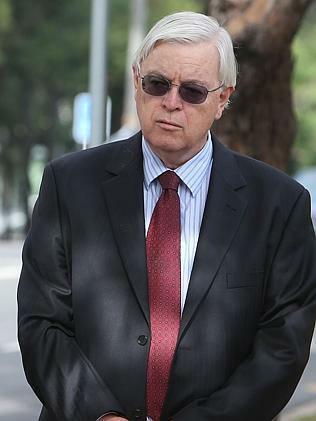 The officer’s widower still works for NSW Police. He is well-respected and liked by the police executive and rank-and-file officers. An extensive list of witnesses is to be called before the inquest, which will be headed by solicitors Kenneth Madden and Scarlet Reid. The inquest into the death of the female police officer will begin today at Glebe coroner’s court before deputy coroner Paul MacMahon. The hearings marks the latest in a string of dramas to plague the state’s constabulary as Premier Mike Baird delays naming a successor to current Police Commissioner Andrew Scipione. The two deputy commissioners previously touted as Mr Scipione’s most likely replacements — Catherine Burn and Nick Kaldas — have been embroiled in an embarrassing bugging scandal in which wrongful surveillance was conducted on Deputy Commissioner Kaldas, who has recently returned to duty from sick leave. Deputy Commissioner Burn, who ran Operation Mascot, denied instructing police to bug her rival.